Marriage*: He married Lillie Mae Jackson. [S620] Doris Burkhamer, e-mail address, chart of descendants of Isaac Duffer sent to Roger Bartlett, 23 May 2001,(naming Jake Ottis Hammond as his father). Marriage*: She married Jake Ottis Hammond. [S620] Doris Burkhamer, e-mail address, chart of descendants of Isaac Duffer sent to Roger Bartlett, 23 May 2001,(naming Lillie Mae Jackson as his mother). [S623] Cynthia Jones Reese, e-mail address, chart of descendants of Anthony Hampton and Mary Ann Williams sent to Roger Bartlett, 25 April 2001,(naming Anthony Hampton as her father). [S623] Cynthia Jones Reese, chart of descendants of Anthony Hampton and Mary Ann Williams, above,(naming Mary Ann Williams as her mother). [S623] Cynthia Jones Reese, chart of descendants of Anthony Hampton and Mary Ann Williams, above. [S623] Cynthia Jones Reese, chart of descendants of Anthony Hampton and Mary Ann Williams, above,(naming Asenath Hampton as his mother). [S623] Cynthia Jones Reese, e-mail address, chart of descendants of Anthony Hampton and Mary Ann Williams sent to Roger Bartlett, 25 April 2001. [S623] Cynthia Jones Reese, chart of descendants of Anthony Hampton and Mary Ann Williams, above,(naming John H. Blackwell as his father). Marriage*: He married Isabella Abercrombie. Marriage*: She married Josiah Blackwell. [S623] Cynthia Jones Reese, e-mail address, chart of descendants of Anthony Hampton and Mary Ann Williams sent to Roger Bartlett, 25 April 2001,(naming John H. Blackwell as his father). [S624] Thelma Cooper, electronic mail to Roger Bartlett, 10 Jun 2001, (stating that he was born circa 1812 in Ohio). [S624] Thelma Cooper, electronic mail to Roger Bartlett, 10 Jun 2001. [S624] Thelma Cooper, electronic mail to Roger Bartlett, 10 Jun 2001, (naming Roswell Church as her father). [S624] Thelma Cooper, electronic mail to Roger Bartlett, 10 Jun 2001, (naming Roswell Church as his father). [S624] Thelma Cooper, electronic mail to Roger Bartlett, 10 Jun 2001, (stating that she was born circa 1827 in Greenup County, Kentucky). [S624] Thelma Cooper, electronic mail to Roger Bartlett, 10 Jun 2001, (naming Martha Ann Apps/McCormick as her mother). [S624] Thelma Cooper, electronic mail to Roger Bartlett, 10 Jun 2001, (naming Martha Ann Apps/McCormick as his mother). [S624] Thelma Cooper, electronic mail to Roger Bartlett, 10 Jun 2001, (stating that she was born circa 1862 in Lawrence County, Ohio). Dorothy Eugenia Clopton's tombstone, Myrtle Cemetery, Ennis, Tex., courtesy of Carol Cox. Obituary*: Funeral of Miss Clopton. [S624] Thelma Cooper, electronic mail to Roger Bartlett, 10 Jun 2001, (naming Samuel Walter Clopton as her father). [S624] Thelma Cooper, electronic mail to Roger Bartlett, 10 Jun 2001, (naming Idaho Church as her mother). [S624] Thelma Cooper, electronic mail to Roger Bartlett, 10 Jun 2001, (citing 1900, 1910, and 1920 U.S. Censuses, Ellis Co., Tex.) (giving the month, year, and place). 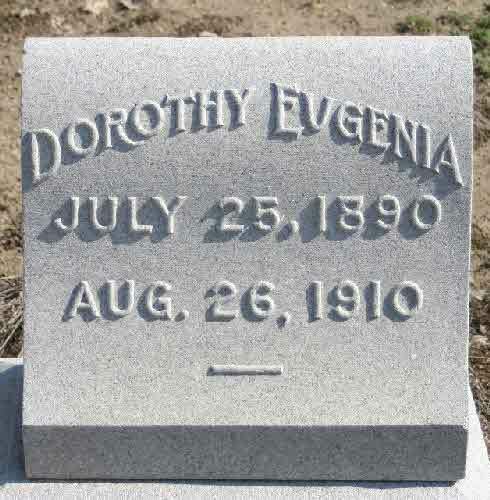 [S961] Find A Grave, online at http://www.findagrave.com, memorial for Dorothy Eugenia Clopton, memorial no. 44940960 (giving the date but no other information). [S67] The Dallas Morning News, Dallas, Tex., 29 Aug 1910, p. 2. [S961] Find A Grave, online, above, memorial for Dorothy Eugenia Clopton, memorial no. 44940960. [S624] Thelma Cooper, electronic mail to Roger Bartlett, 10 Jun 2001, (citing 1900, 1910, and 1920 U.S. Censuses, Ellis Co., Tex.). Birth*: She was born on 2 March 1897 in Ennis, Ellis County, Texas. Marriage*: She married Harry Clay Dillingham in Ennis, Ellis County, Texas. Death*: She died on 8 August 1984 in Ennis, Ellis County, Texas, at age 87. [S624] Thelma Cooper, electronic mail to Roger Bartlett, 10 Jun 2001, (giving her name as Margaret Helen Clopton and naming Idaho Church as her mother). [S28] James Alonzo Matthews, Jr. and Lucille Pearce, comps., Pearce, Bartlett, Matthews, Smart, and Allied Families (Austin, Tex. : Eakin Publications, Inc., 1983), p. 25 (naming Hugh Allison as her father). [S28] James Alonzo Matthews, Jr. et al., Pearce [etc.] and Allied Families, above, p. 25 (naming Rebecca _____ as her mother). [S28] James Alonzo Matthews, Jr. et al., Pearce [etc.] and Allied Families, above, p. 25. [S28] James Alonzo Matthews, Jr. et al., Pearce [etc.] and Allied Families, above, p. 25 (naming Lucinda Allison as his mother). [S28] James Alonzo Matthews, Jr. et al., Pearce [etc.] and Allied Families, above, pp. 25, 89 (naming Lucinda Allison as her mother). [S715] Molly Martin, electronic mail to Roger Bartlett, 1 Dec 2001. [S28] James Alonzo Matthews, Jr. and Lucille Pearce, comps., Pearce, Bartlett, Matthews, Smart, and Allied Families (Austin, Tex. : Eakin Publications, Inc., 1983), p. 25 (naming Rebecca _____ as her mother). [S28] James Alonzo Matthews, Jr. and Lucille Pearce, comps., Pearce, Bartlett, Matthews, Smart, and Allied Families (Austin, Tex. : Eakin Publications, Inc., 1983), p. 25 (naming James Pearce as his father). [S28] James Alonzo Matthews, Jr. et al., Pearce [etc.] and Allied Families, above, pp. 25, 26. [S28] James Alonzo Matthews, Jr. et al., Pearce [etc.] and Allied Families, above, p. 26. [S28] James Alonzo Matthews, Jr. et al., Pearce [etc.] and Allied Families, above, pp. 25, 40 (attributing information to Omega Pearce Murphy, Upland, Calif.). [S28] James Alonzo Matthews, Jr. et al., Pearce [etc.] and Allied Families, above, p. 40 (attributing information to Omega Pearce Murphy, Upland, Calif.). [S28] James Alonzo Matthews, Jr. et al., Pearce [etc.] and Allied Families, above, pp. 40, 54 (naming Robert Bartlett Pearce as his father and attributing information to Omega Pearce Murphy, Upland, Calif.). [S28] James Alonzo Matthews, Jr. et al., Pearce [etc.] and Allied Families, above, pp. 40, 54 (naming Robert Bartlett Pearce as her father and attributing information to Omega Pearce Murphy, Upland, Calif.). [S28] James Alonzo Matthews, Jr. et al., Pearce [etc.] and Allied Families, above, pp. 25 (giving only the date), 54. [S28] James Alonzo Matthews, Jr. et al., Pearce [etc.] and Allied Families, above, p. 56. [S28] James Alonzo Matthews, Jr. et al., Pearce [etc.] and Allied Families, above, pp. 25, 57. [S28] James Alonzo Matthews, Jr. et al., Pearce [etc.] and Allied Families, above, pp. 54-57. [S28] James Alonzo Matthews, Jr. et al., Pearce [etc.] and Allied Families, above, p. 57 (naming William Wriley Pearce as her father). [S28] James Alonzo Matthews, Jr. et al., Pearce [etc.] and Allied Families, above, p. 57 (naming William Wriley Pearce as his father). [S28] James Alonzo Matthews, Jr. et al., Pearce [etc.] and Allied Families, above, pp. 57, 68 (naming William Wriley Pearce as his father). [S28] James Alonzo Matthews, Jr. et al., Pearce [etc.] and Allied Families, above, pp. 57, 71 (naming William Wriley Pearce as her father). [S28] James Alonzo Matthews, Jr. et al., Pearce [etc.] and Allied Families, above, pp. 25 (giving only the date), 73. [S28] James Alonzo Matthews, Jr. et al., Pearce [etc.] and Allied Families, above, p. 73. [S28] James Alonzo Matthews, Jr. et al., Pearce [etc.] and Allied Families, above, p. 73 (naming Isaac Wiley Pearce as his father). [S28] James Alonzo Matthews, Jr. et al., Pearce [etc.] and Allied Families, above, p. 73 (naming Isaac Wiley Pearce as her father). [S28] James Alonzo Matthews, Jr. et al., Pearce [etc.] and Allied Families, above, pp. 25 (giving only the date), 77. [S28] James Alonzo Matthews, Jr. et al., Pearce [etc.] and Allied Families, above, p. 77. [S248] Supposition as to place, based on their believed residences at the time. [S953] Betty Ann Wells, electronic mail to Roger Bartlett, 3 Apr 2004. [S28] James Alonzo Matthews, Jr. et al., Pearce [etc.] and Allied Families, above, p. 77 (attributing information to Mary Lee Keith, Carrollton, Tex.). [S953] Betty Ann Wells, electronic mail to Roger Bartlett, 3 Apr 2004, (spelling her surname as Baumann). [S28] James Alonzo Matthews, Jr. et al., Pearce [etc.] and Allied Families, above, p. 86 (attributing information to Mary Lee Keith, Carrollton, Tex.). [S28] James Alonzo Matthews, Jr. et al., Pearce [etc.] and Allied Families, above, pp. 25, 77 (giving only the date), 88 (attributing information to Mary Lee Keith, Carrollton, Tex.). [S28] James Alonzo Matthews, Jr. et al., Pearce [etc.] and Allied Families, above, p. 77 (naming Alfred Cole Pearce as his father and attributing information to Mary Lee Keith, Carrollton, Tex.). [S953] Betty Ann Wells, electronic mail to Roger Bartlett, 3 Apr 2004, (naming Alfred Cole Pearce as his father). [S28] James Alonzo Matthews, Jr. et al., Pearce [etc.] and Allied Families, above, p. 77 (naming Alfred Cole Pearce as her father and attributing information to Mary Lee Keith, Carrollton, Tex.). [S28] James Alonzo Matthews, Jr. et al., Pearce [etc.] and Allied Families, above, p. 78 (naming Alfred Cole Pearce as his father and attributing information to Mary Lee Keith, Carrollton, Tex.). [S28] James Alonzo Matthews, Jr. et al., Pearce [etc.] and Allied Families, above, p. 78 (naming Alfred Cole Pearce as her father and attributing information to Mary Lee Keith, Carrollton, Tex.). [S28] James Alonzo Matthews, Jr. et al., Pearce [etc.] and Allied Families, above, p. 86 (naming Alfred Cole Pearce as her father and attributing information to Mary Lee Keith, Carrollton, Tex.). [S28] James Alonzo Matthews, Jr. et al., Pearce [etc.] and Allied Families, above, p. 86 (naming Alfred Cole Pearce as his father and attributing information to Mary Lee Keith, Carrollton, Tex.). [S577] California Death Records, online http://www.rootsweb.com/rootsweb/graphics/ca.html, (stating that his father's surname was Pearce). [S28] James Alonzo Matthews, Jr. and Lucille Pearce, comps., Pearce, Bartlett, Matthews, Smart, and Allied Families (Austin, Tex. : Eakin Publications, Inc., 1983), pp. 25, 89 (naming James Pearce as her father). [S28] James Alonzo Matthews, Jr. et al., Pearce [etc.] and Allied Families, above, p. 89. [S28] James Alonzo Matthews, Jr. et al., Pearce [etc.] and Allied Families, above, pp. 25 (giving only the date), 89. [S28] James Alonzo Matthews, Jr. et al., Pearce [etc.] and Allied Families, above, p. 89 (naming Francis Marion Pearce as his father). [S28] James Alonzo Matthews, Jr. et al., Pearce [etc.] and Allied Families, above, p. 89 (naming Francis Marion Pearce as her father). [S28] James Alonzo Matthews, Jr. et al., Pearce [etc.] and Allied Families, above, pp. 25 (giving only the date), 111. [S28] James Alonzo Matthews, Jr. et al., Pearce [etc.] and Allied Families, above, p. 111. [S28] James Alonzo Matthews, Jr. et al., Pearce [etc.] and Allied Families, above, p. 113. [S28] James Alonzo Matthews, Jr. et al., Pearce [etc.] and Allied Families, above, pp. 25 (giving only the date), 113. [S28] James Alonzo Matthews, Jr. et al., Pearce [etc.] and Allied Families, above, pp. 111, 113. [S28] James Alonzo Matthews, Jr. and Lucille Pearce, comps., Pearce, Bartlett, Matthews, Smart, and Allied Families (Austin, Tex. : Eakin Publications, Inc., 1983), p. 25 (naming Christopher Columbus Martin as her father). [S28] James Alonzo Matthews, Jr. et al., Pearce [etc.] and Allied Families, above, p. 25 (naming Anna Turner as her mother). [S28] James Alonzo Matthews, Jr. et al., Pearce [etc.] and Allied Families, above, pp. 25, 116 (naming Frances Martin as her mother). [S28] James Alonzo Matthews, Jr. et al., Pearce [etc.] and Allied Families, above, p. 25 (naming Frances Martin as his mother). [S28] James Alonzo Matthews, Jr. et al., Pearce [etc.] and Allied Families, above, pp. 25, 288 (naming Frances Martin as her mother). [S28] James Alonzo Matthews, Jr. et al., Pearce [etc.] and Allied Families, above, pp. 25, 117 (naming Frances Martin as his mother). [S28] James Alonzo Matthews, Jr. et al., Pearce [etc.] and Allied Families, above, pp. 25, 120 (naming Frances Martin as her mother). Marriage*: He married Anna Turner. Marriage*: She married Christopher Columbus Martin. [S28] James Alonzo Matthews, Jr. and Lucille Pearce, comps., Pearce, Bartlett, Matthews, Smart, and Allied Families (Austin, Tex. : Eakin Publications, Inc., 1983), p. 25 (naming Anna Turner as her mother). [S28] James Alonzo Matthews, Jr. and Lucille Pearce, comps., Pearce, Bartlett, Matthews, Smart, and Allied Families (Austin, Tex. : Eakin Publications, Inc., 1983), pp. 25, 116 (naming James Pearce as her father). [S28] James Alonzo Matthews, Jr. et al., Pearce [etc.] and Allied Families, above, pp. 25, 116. [S28] James Alonzo Matthews, Jr. et al., Pearce [etc.] and Allied Families, above, pp. 25 (giving only the date), 116. [S28] James Alonzo Matthews, Jr. et al., Pearce [etc.] and Allied Families, above, p. 116. [S28] James Alonzo Matthews, Jr. et al., Pearce [etc.] and Allied Families, above, p. 116 (naming Mathias Brown Pearce as his father). [S28] James Alonzo Matthews, Jr. et al., Pearce [etc.] and Allied Families, above, p. 116 (naming Mathias Brown Pearce as her father). [S28] James Alonzo Matthews, Jr. and Lucille Pearce, comps., Pearce, Bartlett, Matthews, Smart, and Allied Families (Austin, Tex. : Eakin Publications, Inc., 1983), pp. 25, 288 (naming James Pearce as her father). [S28] James Alonzo Matthews, Jr. et al., Pearce [etc.] and Allied Families, above, pp. 25 (giving the date but not the place), 117, 288. [S28] James Alonzo Matthews, Jr. et al., Pearce [etc.] and Allied Families, above, pp. 117, 288. [S28] James Alonzo Matthews, Jr. et al., Pearce [etc.] and Allied Families, above, pp. 25, 117. [S28] James Alonzo Matthews, Jr. et al., Pearce [etc.] and Allied Families, above, p. 117 (naming Sarah Ellen Pearce as his mother). [S28] James Alonzo Matthews, Jr. et al., Pearce [etc.] and Allied Families, above, p. 117 (naming Sarah Ellen Pearce as her mother). Thomas Newton Pearce's tombstone, Crowley Cemetery, Crowley, Tex., courtesy of J. Barry Turnage. Note*: • "Also when he was twenty-one [in addition to his marriage], Thomas N. Pearce became associated with the Masonic Fraternity and held this membership for over sixty years. His entire life was devoted to agriculture. Like his brothers his start in life was with a very humble home which he established at the beginning of his married life and which he in time improved, adding more acreage until his farm was one of the best improved places in Olive Township. Through inheritance by the death of his father one year after his marriage, he received 120 acres of land. Eight years later by the death of his mother, he received 60 more acres, making in all a well improved estate. Mr. Pearce was a tall, fine-looking man with a very pleasing disposition; through his kindness to all, he was never known to have had an enemy." • At age six, Thomas moved with his parents from Saline Township to Olive Township, north of Alhambra, in Madison County, Illinois. In 1877, in his mid-thirties, many years after marriage, he and Susan moved to Tarrant County, Texas and settled near Burleson. [S28] James Alonzo Matthews, Jr. and Lucille Pearce, comps., Pearce, Bartlett, Matthews, Smart, and Allied Families (Austin, Tex. : Eakin Publications, Inc., 1983), pp. 25, 117 (naming James Pearce as his father). [S28] James Alonzo Matthews, Jr. et al., Pearce [etc.] and Allied Families, above, pp. 25 (giving the date but not the place), 117 (giving the date and place). 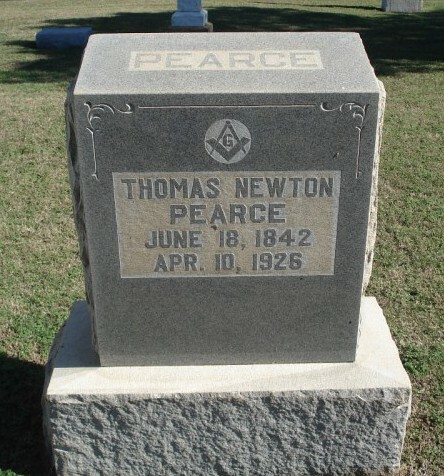 [S961] Find A Grave, online at http://www.findagrave.com, memorial for Thomas Newton Pearce, memorial no. 43997674, viewed on 13 Aug 2011 (stating that he was born on 18 Jun 1842 in Madison, Madison County, Illinois). [S28] James Alonzo Matthews, Jr. et al., Pearce [etc.] and Allied Families, above, p. 117. [S28] James Alonzo Matthews, Jr. et al., Pearce [etc.] and Allied Families, above, p. 25 (giving the date but not the place). [S961] Find A Grave, online, above, memorial for Thomas Newton Pearce, memorial no. 43997674, viewed on 13 Aug 2011. [S28] James Alonzo Matthews, Jr. et al., Pearce [etc.] and Allied Families, above, p. 117 (naming Thomas Newton Pearce as his father). [S28] James Alonzo Matthews, Jr. et al., Pearce [etc.] and Allied Families, above, p. 117 (naming Thomas Newton Pearce as her father). [S28] James Alonzo Matthews, Jr. et al., Pearce [etc.] and Allied Families, above, pp. 117, 119 (naming Thomas Newton Pearce as his father). [S28] James Alonzo Matthews, Jr. et al., Pearce [etc.] and Allied Families, above, pp. 118, 120 (naming Thomas Newton Pearce as his father). [S28] James Alonzo Matthews, Jr. et al., Pearce [etc.] and Allied Families, above, p. 118 (naming Thomas Newton Pearce as his father). [S28] James Alonzo Matthews, Jr. et al., Pearce [etc.] and Allied Families, above, p. 118 (naming Thomas Newton Pearce as her father). Other Names*: Rachel Pearce, Rachel Miranda Pearce Tabor, Rachel Miranda Tabor, Rachel Pearce Tabor, Rachel Tabor. Note*: • They farmed in Silver Creek Township (Madison County, Illinois) until Sep 1892, when they sold the Illinois farm and moved to the Hickory Grove community in Ray County, Missouri. In Sep 1910 they moved to Iago, Texas, where they farmed. • Her Find A Grave memorial gives 9 Jul 1846 as her birth date. [S28] James Alonzo Matthews, Jr. and Lucille Pearce, comps., Pearce, Bartlett, Matthews, Smart, and Allied Families (Austin, Tex. : Eakin Publications, Inc., 1983), pp. 25, 120 (naming James Pearce as her father). [S28] James Alonzo Matthews, Jr. et al., Pearce [etc.] and Allied Families, above, pp. 25 (giving the date but not the place), 120 (giving the date and place). [S28] James Alonzo Matthews, Jr. et al., Pearce [etc.] and Allied Families, above, pp. 120-21. [S961] Find A Grave, online at http://www.findagrave.com, memorial for Rachel Miranda Pearce Tabor, memorial no. 69569261, viewed on 7 Aug 2013. [S28] James Alonzo Matthews, Jr. et al., Pearce [etc.] and Allied Families, above, pp. 25 (third bullet point), 121 (first bullet point). [S961] Find A Grave, online, above, memorial for Rachel Miranda Pearce Tabor, memorial no. 69569261, viewed on 7 Aug 2013 (giving 9 Aug 1846 as her birth date). [S28] James Alonzo Matthews, Jr. et al., Pearce [etc.] and Allied Families, above, p. 121 (naming Rachel Miranda Pearce as his mother). [S961] Find A Grave, online, above, memorial for James Allen Tabor, memorial no. 20699997, viewed on 7 Aug 2013 (naming Rachel Pearce as his mother). [S28] James Alonzo Matthews, Jr. et al., Pearce [etc.] and Allied Families, above, pp. 121, 124 (naming Rachel Miranda Pearce as her mother). [S28] James Alonzo Matthews, Jr. et al., Pearce [etc.] and Allied Families, above, pp. 121, 133 (naming Rachel Miranda Pearce as her mother). [S961] Find A Grave, online, above, memorial for Ellen Arnetta Tabor Inman, memorial no. 37990712, viewed on 16 Sep 2013 (naming Rachel Miranda Pearce as her mother). [S961] Find A Grave, online, above, memorial for Rachel Miranda Pearce Tabor, memorial no. 69569261, viewed on 16 Sep 2013 (naming Rachel Miranda Pearce as her mother). [S28] James Alonzo Matthews, Jr. et al., Pearce [etc.] and Allied Families, above, pp. 121, 134 (naming Rachel Miranda Pearce as her mother). [S961] Find A Grave, online, above, memorial for Olive May Tabor Hawk, memorial no. 25511959, viewed on 18 Sep 2013 (naming Rachel Miranda Pearce as her mother). [S961] Find A Grave, online, above, memorial for Rachel Miranda Pearce, memorial no. 69569261, viewed on 18 Sep 2013 (naming Rachel Miranda Pearce as her mother). [S28] James Alonzo Matthews, Jr. et al., Pearce [etc.] and Allied Families, above, pp. 121, 134 (both naming Rachel Miranda Pearce as her mother). [S961] Find A Grave, online, above, memorial for Nora Bell Tabor Rader, memorial no. 17333240, viewed on 18 Sep 2013 (naming Rachel Miranda Pearce as her mother). [S28] James Alonzo Matthews, Jr. et al., Pearce [etc.] and Allied Families, above, pp. 121, 135 (naming Rachel Miranda Pearce as her mother). [S961] Find A Grave, online, above, memorial for Miranda Rachael Tabor Rogers, memorial no. 62754028, viewed on 17 May 2015 (naming Rachel Miranda Pearce as her mother). [S28] James Alonzo Matthews, Jr. et al., Pearce [etc.] and Allied Families, above, pp. 121, 135 (naming Rachel Miranda Pearce as his mother). [S28] James Alonzo Matthews, Jr. et al., Pearce [etc.] and Allied Families, above, pp. 121, 136 (naming Rachel Miranda Pearce as his mother). [S961] Find A Grave, online, above, memorial for Loren P. Tabor, memorial no. 91941714, viewed on 17 May 2015 (naming Rachel Miranda Pearce as his mother). 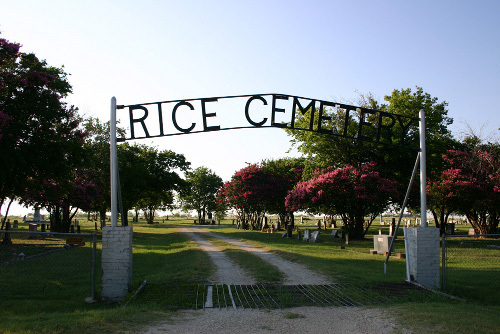 [S961] Find A Grave, online, above, memorial for Rachel Miranda Pearce, memorial no. 69569261, viewed on 17 May 2015 (naming Rachel Miranda Pearce as his mother). [S28] James Alonzo Matthews, Jr. and Lucille Pearce, comps., Pearce, Bartlett, Matthews, Smart, and Allied Families (Austin, Tex. : Eakin Publications, Inc., 1983), p. 26. [S28] James Alonzo Matthews, Jr. et al., Pearce [etc.] and Allied Families, above, p. 40. Marriage*: He married Mary Smith. [S28] James Alonzo Matthews, Jr. and Lucille Pearce, comps., Pearce, Bartlett, Matthews, Smart, and Allied Families (Austin, Tex. : Eakin Publications, Inc., 1983), p. 40 (naming Hillary Cason as her father). Marriage*: She married Hillary Cason. [S28] James Alonzo Matthews, Jr. and Lucille Pearce, comps., Pearce, Bartlett, Matthews, Smart, and Allied Families (Austin, Tex. : Eakin Publications, Inc., 1983), p. 40 (naming Mary Smith as her mother). [S28] James Alonzo Matthews, Jr. et al., Pearce [etc.] and Allied Families, above, p. 40 (naming Mary Smith as her mother). [S28] James Alonzo Matthews, Jr. et al., Pearce [etc.] and Allied Families, above, pp. 40, 54 (naming Ginsey Cason as his mother and attributing information to Omega Pearce Murphy, Upland, Calif.). [S28] James Alonzo Matthews, Jr. et al., Pearce [etc.] and Allied Families, above, pp. 40, 54 (naming Ginsey Cason as her mother and attributing information to Omega Pearce Murphy, Upland, Calif.). [S28] James Alonzo Matthews, Jr. and Lucille Pearce, comps., Pearce, Bartlett, Matthews, Smart, and Allied Families (Austin, Tex. : Eakin Publications, Inc., 1983), p. 40 (attributing information to Omega Pearce Murphy, Upland, Calif.). [S28] James Alonzo Matthews, Jr. et al., Pearce [etc.] and Allied Families, above, pp. 40, 54 (naming Rebecca Howell as her mother and attributing information to Omega Pearce Murphy, Upland, Calif.). [S28] James Alonzo Matthews, Jr. et al., Pearce [etc.] and Allied Families, above, pp. 40, 54 (naming Rebecca Howell as his mother and attributing information to Omega Pearce Murphy, Upland, Calif.). [S28] James Alonzo Matthews, Jr. and Lucille Pearce, comps., Pearce, Bartlett, Matthews, Smart, and Allied Families (Austin, Tex. : Eakin Publications, Inc., 1983), pp. 40, 54 (naming Robert Bartlett Pearce as his father and attributing information to Omega Pearce Murphy, Upland, Calif.). [S28] James Alonzo Matthews, Jr. et al., Pearce [etc.] and Allied Families, above, p. 42. [S28] James Alonzo Matthews, Jr. and Lucille Pearce, comps., Pearce, Bartlett, Matthews, Smart, and Allied Families (Austin, Tex. : Eakin Publications, Inc., 1983), p. 40 (naming James Samples Dollarhide as her father). [S28] James Alonzo Matthews, Jr. et al., Pearce [etc.] and Allied Families, above, p. 40 (naming Mary King as her mother).